The big story right now is about how the head of the Central Intelligence Agency (CIA) was busted by FBI investigators after they found that he was having an affair with writer Paula Broadwell, principal author of his biography, perhaps ironically called All In: The Education of General David Petraeus. It happens, I suppose, and whether that’s the real reason – and only reason — for his resignation or whether there were other issues that haven’t come to light yet, well, we might never know the full story. 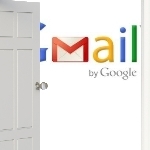 •So how much does Gmail archive? For how long? •And once you delete something, is it really deleted? •For that matter, what does “sharing drafts” mean when the investigators explained how David and Paula communicated without actually sending messages to each other? This is a bit of a tricky subject to write about because I want to honor the 37 years of service that General Petraeus gave to our country while in the U.S. Army, and his 18 months or so as head of the CIA. A life of service is a respectable thing indeed. But an affair? Stupid. Let’s start with how they used Gmail to communicate. Once they realized that sending email back and forth was going to be a potential disaster (because it’s so easy to track and analyze) they came up with the pretty smart idea of communicating via draft email messages in a shared Gmail account. The idea is that if you share login credentials with someone else, you can write a message to them and leave it unsent in the “drafts” folder. They then log in later, see a message in Drafts, read it, delete the content of the message and write their own message back. In fact, you could both be writing messages simultaneously, though at that point it’s probably easier to just use Gtalk to chat with each other. But… that again leaves a digital trail that the draft messages, deleted after being read, does not. Ask Dave Taylor gmail, privacy. permalink.